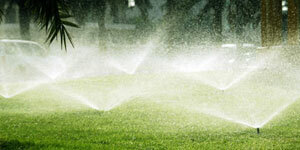 Keep your lawn green and thick year round with in ground irrigation systems. We will install all pipe and controls needed to create your easily maintained watering system. Establish your own tranquil waterfall over natural stone or other materials. Ponds or rivers add beauty to any landscape! Stock with plants and fish to complete your outdoor oasis.